I began directing as early has high-school where I ran the school drama club for several years, often co-writing and directing sketch material. In college, my training as a drama major included acting, directing. scenic design, lighting, make-up and stage craft. 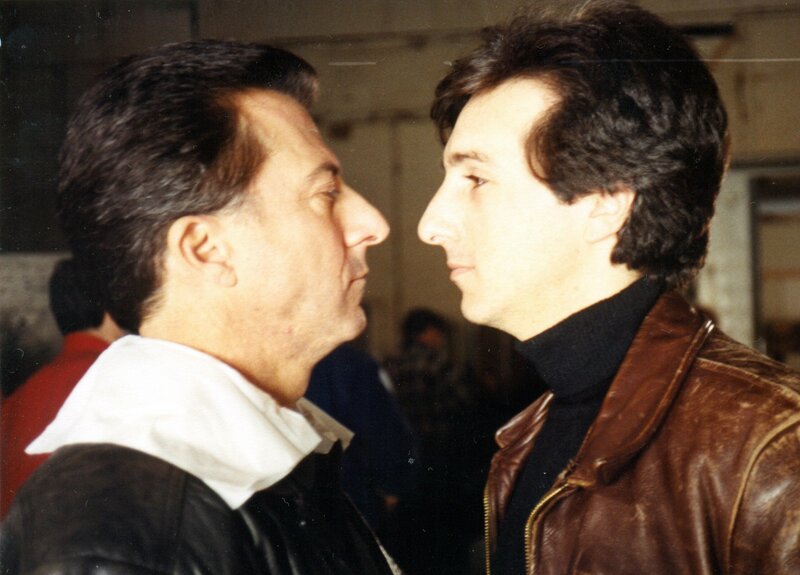 Early in my career, I became the go-to stand-in on New York film sets. Rather than sit and wait to be called, I would stay close to camera and ask questions of the director, cinematographer, and other key team members to better learn the craft. I spent 7 weeks with Sidney Lumet, explaining almost every shot on the set of Family Business. I was Matthew Broderick’s stand-in/photo double (also in The Freshman) . Sidney was doing his own research that led to the writing his book, Making Movies. I spent four months on-set with Woody Allen on the set of Sweet & Lowdown, again as a stand-in, but again being right ‘there’ and absorbing all I could about filmmaking. I have directed numerous play readings, and directed the psychological-comedy The Gershwin Factor (sold-out), two episodes of the California-based cable talk show, Talking over Coffee, and the musical Bookstore (a reading of a new musical for Manhattan’s prestigious York Theater). Marc is now gearing up to direct the feature film comedy, MegaBall$. It was on the set of Family Business where I was encouraged to write by both Matthew Broderick and Dustin Hoffman, after they caught me scribbling a comic version of Night Before Christmas, customizing it for the crew on set. Read about my writing HERE.